Bob Fowden will be back in rally action this weekend at Anglesey Circuit. 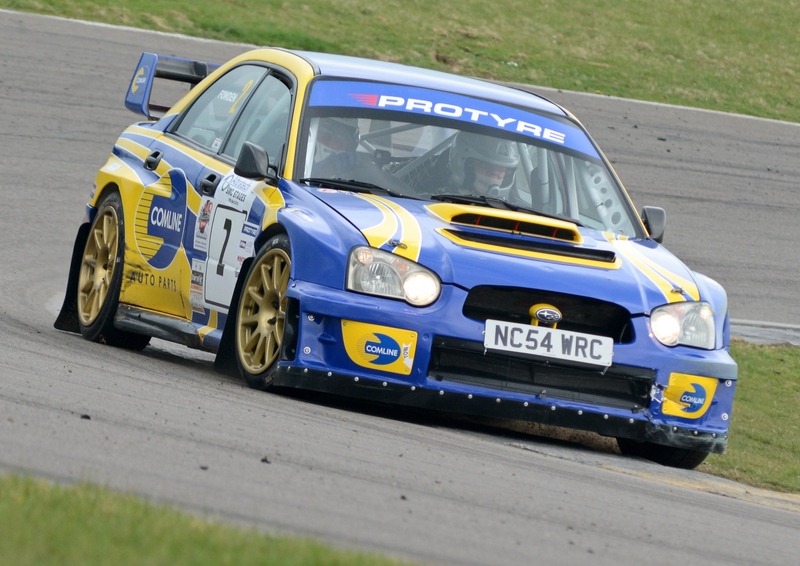 Bob Fowden will return to rallying on this weekend’s Altratech SMC Stages at Anglesey Circuit, almost a year after his last appearance during which a fire badly damaged his Comline Auto Parts/NGK-backed Subaru Impreza WRC S11. The Llanelli driver was lucky to escape unharmed from a blaze on last May’s Manx National Rally, although the engine bay and wiring loom were incinerated. But what took seconds to destroy has taken months to repair – and after much hard work and expense, Fowden’s ex-Petter Solberg car is as good as new and ready to go. Co-driven by his eldest son Paul, Fowden has been seeded at number one for this Sunday’s event. The SMC Stages has received such a strong entry that the current leader of the JD Tyres Welsh National Tarmacadam Championship, three time champion Richard Merriman (Darrian T90), isn’t even seeded inside the top 10! The other leading entries include John Stone (Fiesta WRC), Chris Ford (Subaru WRC S11), Nigel Jones (Subaru WRC S9), Brandon Smith (Darrian GTR T90), Phil Turner (Mitsibushi EV0 9), Tom Blackwood (Fiesta R5) and a host of Escorts, including the red, white and yellow Mk2 rocket of Anglesey regular Dave Willett. The event is also a round of the Formula 1000 Junior Rally Championship, where Llandysul teenager Ioan Lloyd will be aiming to win his second event on the bounce, after a dominant performance last time out in his West Wales Rally Spares-backed Citroen C1.